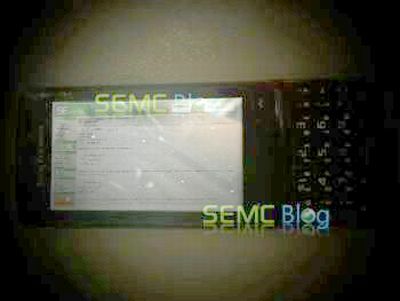 Sony Ericsson Hicaru (Hikaru), High End Walkman Smartphone? Since when is Walkman a smartphone series? Well, since the moment I saw the tiny Walkman branding under the screen of this device. And what a display does this “Hicaru” have! Yes, we’re getting new rumours about the Sony Ericsson Hicaru, a handset that reminds me of the cancelled Paris. There are claims that it’ll come with a full touchscreen, but other than that there’s no info about it. I’ve also seen this phone codenamed Hikaru, so in case you get to see the “c” version someplace else, it might be the same handset.